Contrary to what many people may believe, the First Secret of Medjugorje is NOT the Illumination of Conscience (The Great Warning). 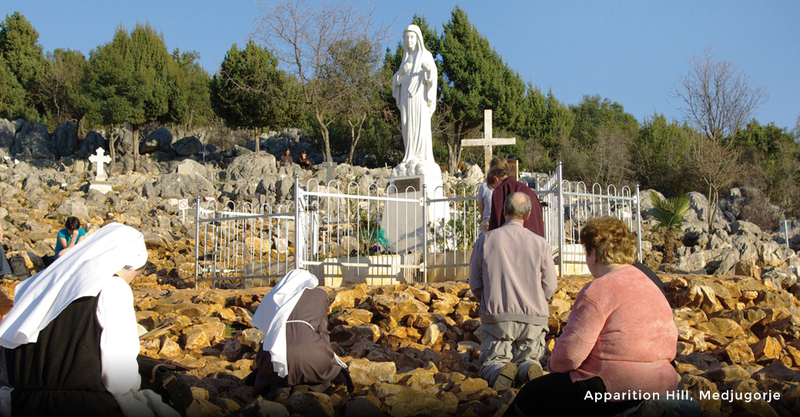 Many people believe this falsity, because they are trying to reconcile Marian apparitions at Garabandal with Medjugorje, and so, because the first three Secrets of Medjugorje are known to be “warnings” for the world, they conclude that the First Secret of Medjugorje is the same as the Warning of Garabandal. But, this is a false thinking. The Great Warning of Garabandal (Illumination of Conscience) would be the first event of the End Times. During this event, all six visionaries of Medjugorje and visionary, Conchita, of Garabandal, would experience the Tenth Secret of Medjugorje (Great Chastisement of Garabandal) in their spiritual bodies. The Tenth Secret of Medjugorje and Great Chastisement are the exact same event from God. I understood that the Great Chastisement is the Three Days of Darkness when the gates of hell are fully open on earth. After the Great Warning (Illumination of Conscience) takes place, all six visionaries of Medjugorje and visionary, Conchita, of Garabandal, are expected by God and Our Lady to testify to all of mankind, and in particular, to Pope Francis and Pope Benedict XVI, and the Catholic Church, about their personal experience involving the Tenth Secret of Medjugorje (Great Chastisement of Garabandal). I understood from St. Gabriel that only the substance of the Tenth Secret of Medjugorje (Great Chastisement of Garabandal) could be revealed by all the visionaries and not the actual date of the Great Chastisement. I understood that only Medjugorje visionary, Mirjana, knows the exact dates of all Ten Secrets of Medjugorje. I also understood that God and Our Lady do not give permission to Mirjana to reveal the date of the Tenth Secret – Mirjana can only reveal her personal experience of the Tenth Secret during the Great Warning, but not when the Tenth Secret will happen on earth. Mirjana must follow the instructions of Our Lady given to her previously regarding the unveiling of the dates of the Ten Secrets and their contents to mankind. I understood from St. Gabriel that the Pope of the Catholic Church in union with all Catholic Bishops must specifically consecrate the nation of Russia to the Immaculate Heart of Mary in order to avoid a nuclear war and to ultimately, avert the occurrence of the Tenth Secret of Medjugorje (Great Chastisement of Garabandal) on earth. I was given much details about the Great Miracle of Garabandal and I know the exact nature of the Great Sign of Garabandal which will be left in the Pines. I was told by St. Gabriel in a very limited way about the relationship between the Great Sign of Garabandal, the Third Secret of Medjugorje (Great Sign of Medjugorje) and the Secrets of Fatima given to the three shepherd children on July 13, 1917. However, I was only told about the relationship between Fatima, Garabandal, and Medjugorje – I was not given knowledge of the exact nature of the Third Secret of Medjugorje. I was also not given any further knowledge on the remaining Secrets of Medjugorje. The first most important aspect was the sequence of the unveiling of the Secrets of Our Lady of Medjugorje and Our Lady of Garabandal. I was told that first the Great Warning of Garabandal (Illumination of Conscience) would take place. Immediately afterwards, the visionaries would testify about the Tenth Secret of Medjugorje (Great Chastisement of Garabandal). Then, the Great Miracle of Garabandal would follow in the Springtime. Then, only later, sometime after the Great Miracle of Garabandal, the dates and contents of all Ten Secrets of Medjugorje would be revealed to mankind. I understood that the Consecration of Russia according to the wishes of Our Lady of Fatima is a necessary part of mitigating / averting the Tenth Secret of Medjugorje (Great Chastisement of Garabandal). I was not given any exact dates for any of these Secrets. The second important aspect is that I was – and I continue to be – truly shocked that I was given this special knowledge from God and Our Lady. I never prayed in any way to receive such information about the Divine Plan and I have never thought that I was privileged in any way as a chosen soul to have such special knowledge. And truly, when the exact nature of the Great Miracle and Great Sign of Garabandal was revealed to me, I was completely stunned. All of this has been an unexpected and unmerited grace for me. A year and a half later, I understand a little bit better why this information was given to me by Heaven, but even now, I continue to be very honestly, stunned by all of it. The third important aspect that I admit very frankly is that I do not consider myself to be a very smart person. I admit that I have two advanced degrees at the university-level, but truly, I am not smart enough to think on my own human merits at this level of sophistication about the Divine Plan of God and Our Lady. I truly believe that no human person could think at this level of sophistication about the Divine Plan. I admit very frankly that I was undergoing much spiritual warfare while St. Gabriel was imparting these insights to me over the course of several nights. So, I admit very openly that all of these insights could only come from a superior intelligence than my own human intellect – that either it is God or satan. However, knowing all the different heightened ways that I was being attacked spiritually both during the encounter and in the subsequent months before I finally revealed these insights publicly on my blog, MaryRefugeOfHolyLove in April 2017 (Easter) – truly, I do not understand how satan would gain in any substantial way by what I have publicly revealed. Perhaps, some minor details could have been manipulated by him – I can never claim perfect discernment – but the substance of what I have written publicly here, in this special commentary, and I continue to know privately – satan has far much more to lose in his demonic plans to subjugate all of mankind, especially, once people witness the Great Miracle and Great Sign of Garabandal, and once the Consecration of Russia to the Immaculate Heart of Mary takes place. Truly, satan gains nothing by what I have revealed thus far. I believe that these revelations are genuine and are of God and Our Lady. I have no desire in my heart to mislead anyone. The other fact that I am choosing to reveal publicly at this time, is that St. Gabriel the Archangel was not the only heavenly person present when these insights were being given privately to me. I share this, because people might mistakenly think that this encounter with St. Gabriel involved just him, me, and satan. But, when I speak about major spiritual warfare taking place at the time, I want to publicly reveal that while St. Gabriel was doing the bulk of the talking, at certain points, St. Michael the Archangel and St. Joseph also were talking to me. And very truthfully, Our Lord, Jesus Christ, and Our Lady, were present as well, holding my hands, although They did not speak to me. My guardian angel also revealed his presence to me as well. In truth, because there was so much spiritual warfare taking place concurrently while this information was being told to me, it felt like I had the whole heavenly court in my bedroom with me. Truly, Heaven and hell were engaged in a full spiritual battle to impart each of these insights to me over the course of several nights. They took place during short wakeful periods at night, because, during the rest of the time, I was working full-time during the day and when I had to sleep I was battling satan in demonic nightmares. So, please know, satan and all of hell were aggressively attacking me both during and afterwards as I discerned these insights from St. Gabriel. This was not just a simple one-time encounter between St. Gabriel, me, and satan. Most people who receive such visions or locutions or heavenly messages are protected by much prayer from others, such as the Medjugorje visionaries, Holy Love Ministries, Luz de Maria (Light of Mary), etc. In my Easter 2017 commentary about these heavenly insights, that writing was the first time that I ever publicly asked for intercession prayer. Because, up until that point, I never understood the power of prayer from others. I had dealt so long with battling satan privately on my own, I never realized how he was crippling me in so many different ways previously. Then, I had to deal privately discerning matters with the full fury of satan and all of hell day and night from January – April 2017 before I was even capable of publicly revealing these insights to the world. When people started praying for me, I witnessed immediately the effects in my life, and truly, I have been so grateful and thankful to everyone ever since. Truly, every kindness extended by blog readers is so appreciated by me. 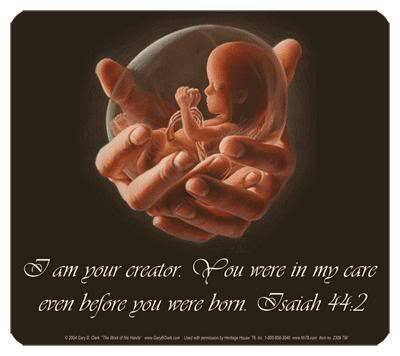 Even if it is just one Hail Mary prayer, your one act of compassionate towards me has literally changed my life. Literally, my life went from going to the emergency room for mystery illnesses while struggling a few months to write one helpful blog commentary, to being able to write a blog commentary over a day or two while also completing other private works for Our Lady to advance Her Plans for the salvation of souls. I know that what I have written here is a bit off-topic for the purposes of this special commentary, but it is necessary to express my gratitude to everyone again and how prayer really does make the difference in people’s lives. Truly, this blog, MaryRefugeOfHolyLove, would not be surviving today without the generous acts of love and simple prayer from many kind people. Thank you from the bottom of my heart. Both of these statements by Vicka and Mirjana also lend support to my recent commentaries about the “Hidden Plan” of God and what events will need to transpire to avoid the Great Chastisement and the Great Tribulation under the reign of the antichrist. 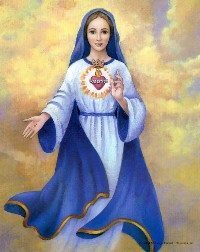 The fact is, the Warning and Great Miracle of Garabandal, as well as the unveiling of the contents of the Tenth Secret of Medjugorje by the visionaries in the aftermath of the Warning, is meant to be a great catalyst for the Popes, the Bishops, and the Catholic Church, to consecrate Russia to the Immaculate Heart of Mary as requested at Fatima. It is only by way of the consecration of Russia can the worldwide nuclear war be averted and other chains of events that give rise to the reign of the antichrist and collapse of the visible Catholic Church. Also, the fact that Mirjana shares that once the contents and dates of the Ten Secrets of Medjugorje begin to be fulfilled, it will be too late for many people, is true. In heavenly messages found in Locutions To The World, Our Lady has indicated that some of the Ten Secrets involve nuclear catastrophes, etc. Our Lady has also stated in the Locutions, that the tragedy of the annihilation of nations, is that such a world war catches the lives of so many people off-guard without adequate preparation for the moment of death and final reconciliation with God. And as indicated in heavenly messages at Holy Love Ministries (http://www.holylove.org), at least 85% of the current world population is in a state of disgrace (mortal sin) before God. So, potentially, that results in a huge majority of people dying by nuclear weapons ending up as lost souls in hell. 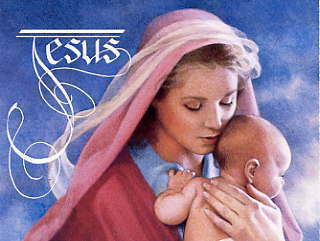 Also, the fact that when the contents and dates of the Ten Secrets of Medjugorje begin to be fulfilled will be too late for many people is also true, because after the Miracle of Garabandal happens, mankind will be subject to the Divine Justice of God for not repenting for its sins as revealed during the Illumination of Conscience (The Warning). As I have written in prior commentaries, supported by different heavenly messages, mankind will only be given a limited time to repent after the Warning and Miracle of Garabandal takes place, and, collectively, return to God and living fully according to His Ten Commandments. If God sees no worldwide repentance with massive conversions back to God, than the antichrist will be permitted his reign and the Great Tribulation will unfold as prophesied in Holy Scripture (Book of Revelation and other prophetic books). So, truly, when the Ten Secrets of Medjugorje start to be fulfilled, the contents and dates will be mainly provided to prepare the faithful left in the world to endure the catastrophes, as the rest of the world will be lost to the mark of the beast and the antichrist, etc. So, any mitigation of the Ten Secrets of Medjugorje has to take place in the immediate aftermath of the Warning and Great Miracle of Garabandal by mankind, because the further away from the occurrence of the Warning without worldwide repentance, the more subject mankind will be to God’s Holy Wrath. Because, truly, the Great Warning will subject all of mankind to the highest level of accountability before God due to its nature as such a significant act of grace by God—at the same scale of accountability that all the angels were given by God at the dawn of Creation when one-third of the angels fell into disgrace and became lost to hell. Finally, in concluding thoughts, I want to say that the fact that the First Secret of Medjugorje somehow involves the church at Medjugorje is not surprising to me, as in the past, Mirjana, has described the world as being desolate at the time of the First Secret as “it is the upheaval of a region of the world.” As revealed to other chosen messengers of Heaven, the antichrist presently lives in Europe and after the Warning of Garabandal happens, he will be trying to exert his power to bring about his reign in the European Union (the new Babylon) with his seat of power in Rome under the Catholic Church. So, it is very easy to conclude that after the Great Warning, that the antichrist, and other minions of satan, such as the elite globalists/masonic forces, and Islamic terrorists, will be seeking the ultimate demise of the site of Medjugorje, because of what Medjugorje will come to represent to the world—the source of reconciliation between mankind and God—after the Warning happens. These are personal thoughts of mine, as I believe the First Secret of Medjugorje is a combination of events—both man-made and natural phenomena, although I do not base this conjecture on any specific heavenly revelation. And so, those are my thoughts for today that I desire to share with followers of MaryRefugeOfHolyLove. Thank you for your continuing prayers for me and the success of this blog. I love you all very much.